The Dondolina Twin Swing Chair is a comfortable garden chair with special dimensions. Its large seat with a width of 113 cm offers enough space to relax, alone or in pairs. 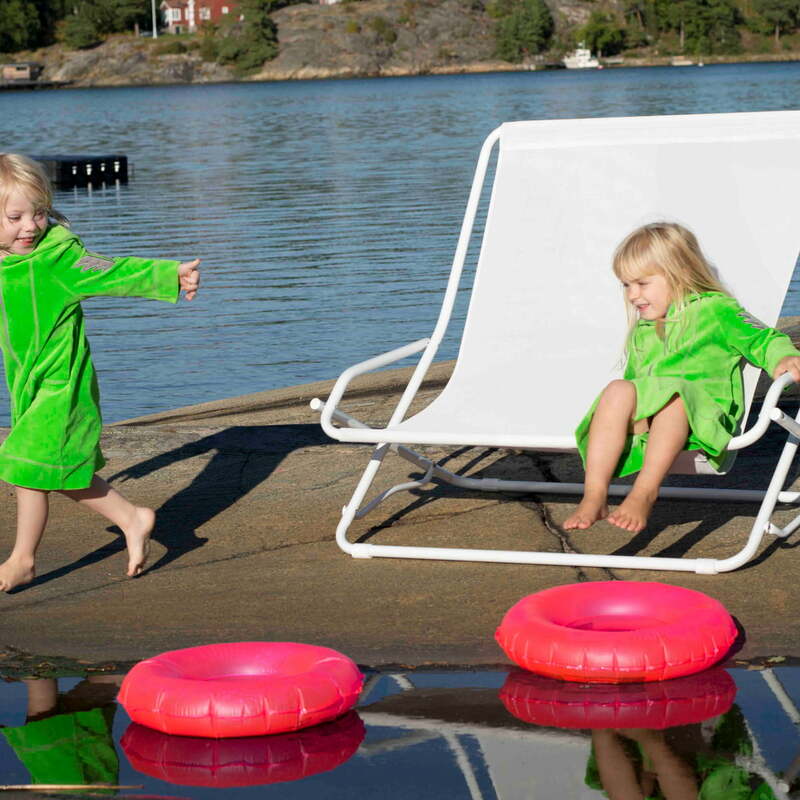 Since the swing-armchair is collapsible, it can be carried comfortably to the desired place of use and find its place on the beach, in the garden or on the balcony. In winter, on the other hand, the armchair can be stored in the shed to save space and can wait there for its next use. While the frame is made of powder-coated steel, the cover is made of a resistant plastic fabric that is also very easy to clean. The sitting position is wonderfully relaxed, so that you can spend pleasant, comfortable hours sunbathing on the armchair. The Dondolina Twin swing chair was designed by Francesco Favagrossa. 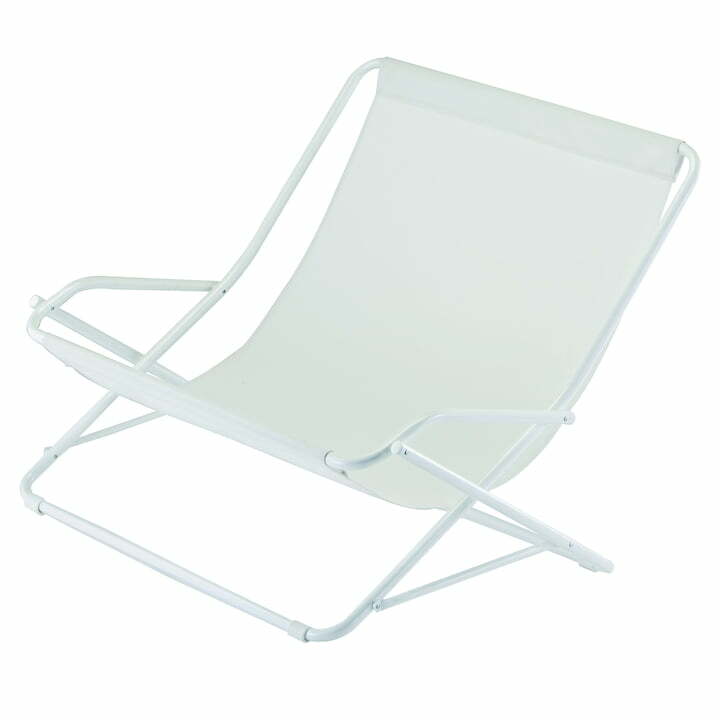 Dondolina Twin swing chair in white by Fiam in single view. The Dondolina Twin Swing Chair is a comfortable garden chair with special dimensions. Its large seat with a width of 113 cm offers enough space to relax, alone or in pairs. Dondolina Twin Swing armchair by Fiam in the ambience view. 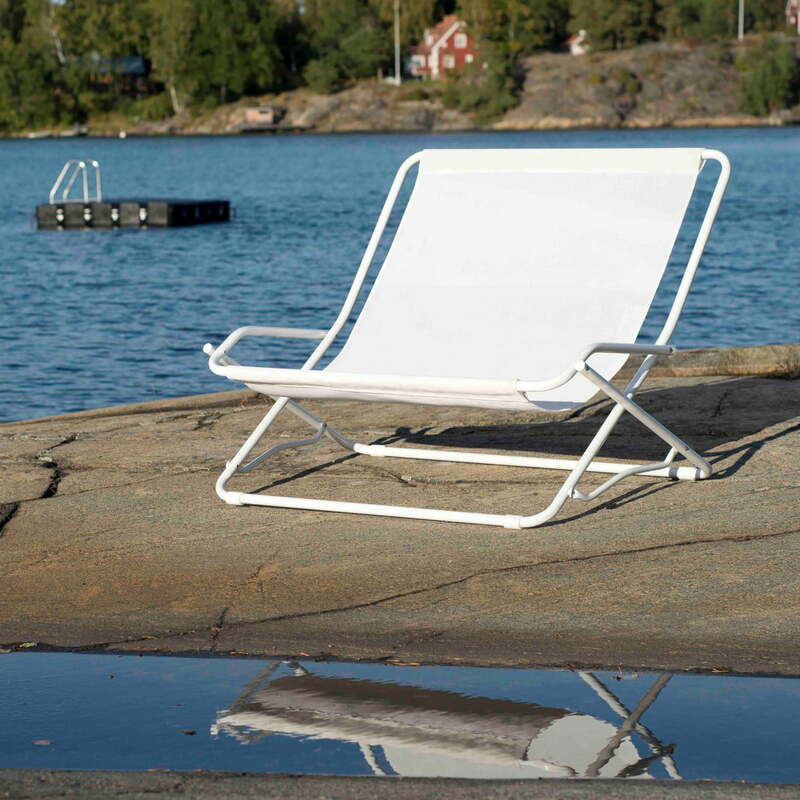 Since the swing-armchair is collapsible, it can be carried comfortably to the desired place of use and find its place on the beach, in the garden or on the balcony. Dondolina Twin Swing armchair by Fiam in the ambience view. The sitting position is wonderfully relaxed, so that you can spend pleasant, comfortable hours sunbathing on the armchair.